* Take a bus from Seoul Central City Express Bus Terminal to Gwangju U-Square Bus Terminal. 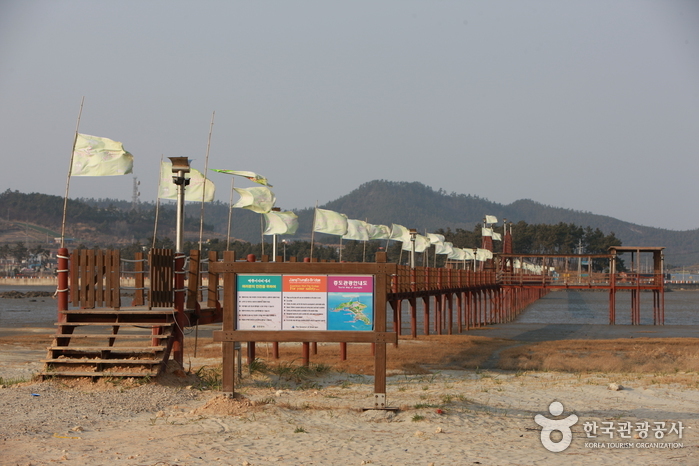 * Take a bus from Seoul Central City Express Bus Terminal to Mokpo Bus Terminal. * Take a bus from Gwangju U-Square Bus Terminal to Jido Express Bus Terminal. 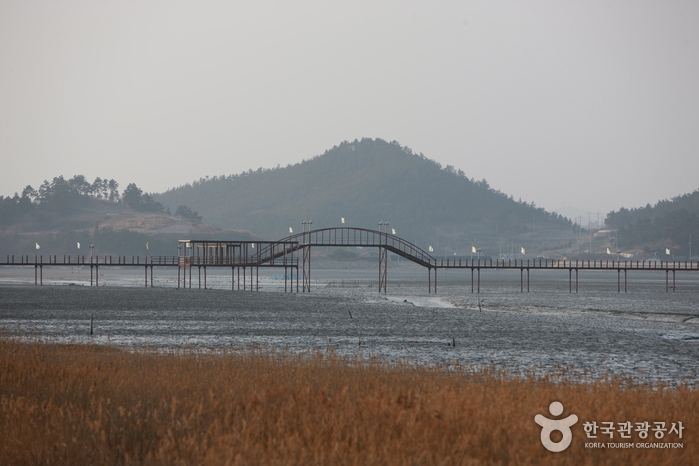 * Take a bus from Mokpo Bus Terminal to Jido Express Bus Terminal. * Take a bus from Seoul Central City Express Bus Terminal to Jido Express Bus Terminal. 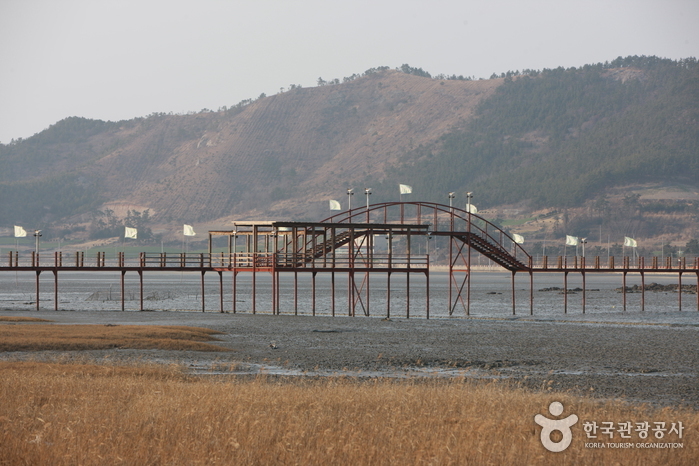 Take a bus bound for Jeungdo from Jido Express Bus Terminal to Jeungdo-myeon. 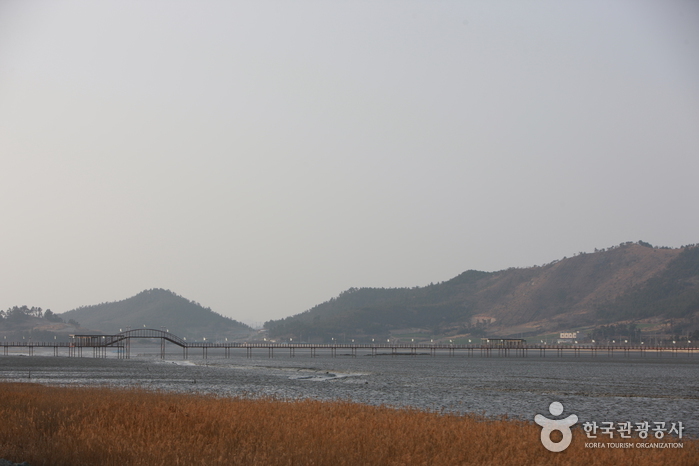 Take a bus or a taxi from Jeungdo-myeon to Jjangttungeodari Bridge. 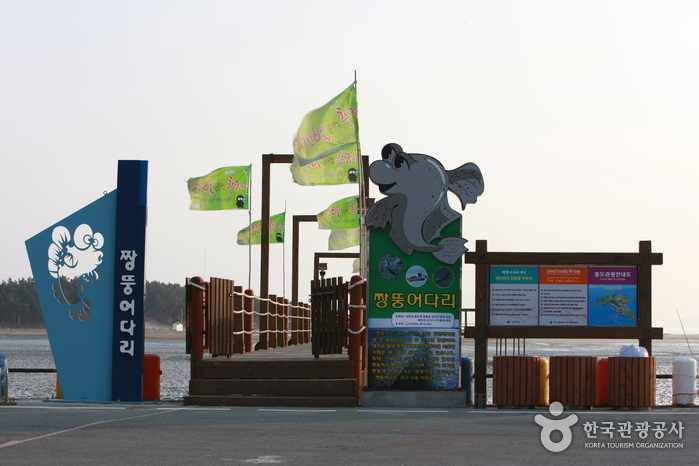 Featuring natural areas untouched by human hands, Jeungdo Island in Shinan-gun was the first Slow City designated in Asia as of December 1, 2007. 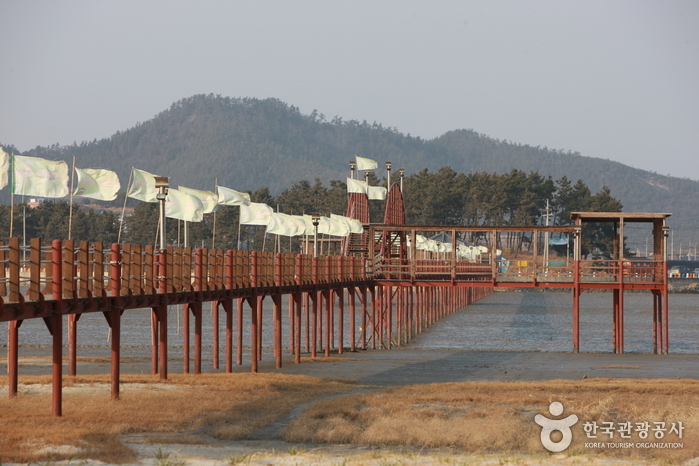 The trademark image of the island is Jjangttungeodari Bridge, built above 470m from the mud flat. 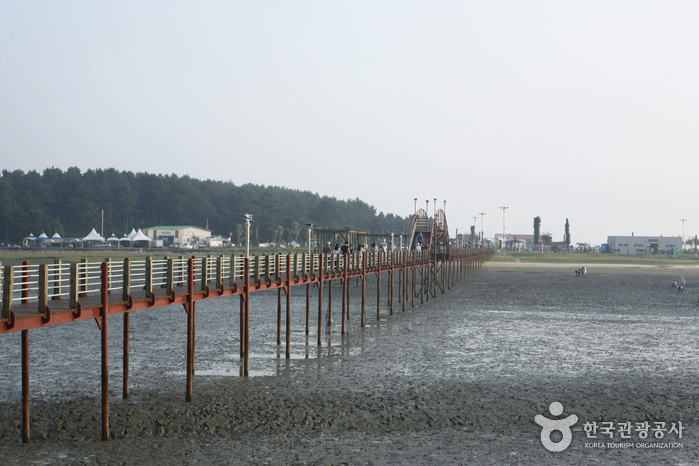 This wooden bridge allows visitors to observe mud creatures all without stepping foot in the mud. 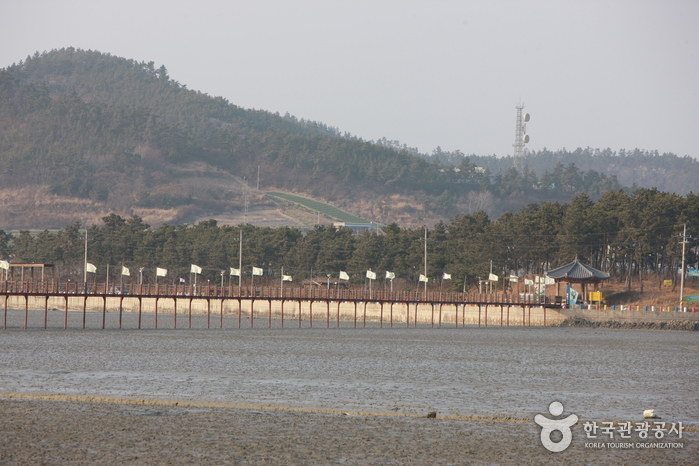 The jjangttungeo (mudskipper) is only able to live in clean mud flats and they are found in this island easily. 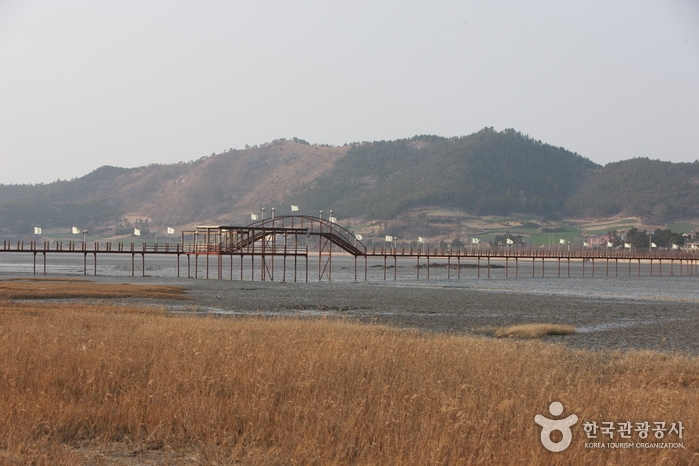 The name of the bridge comes from the image of many mudskippers jumping around the bridge. During low tide, the vast mud flat appears, as well as various mud organisms including mudskippers, crabs, clams and lug worms. 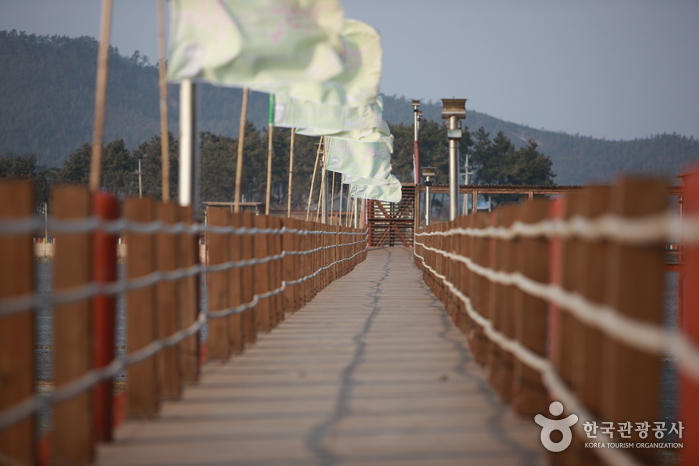 When the tide is high, crossing this bridge will give the feeling of walking on water. 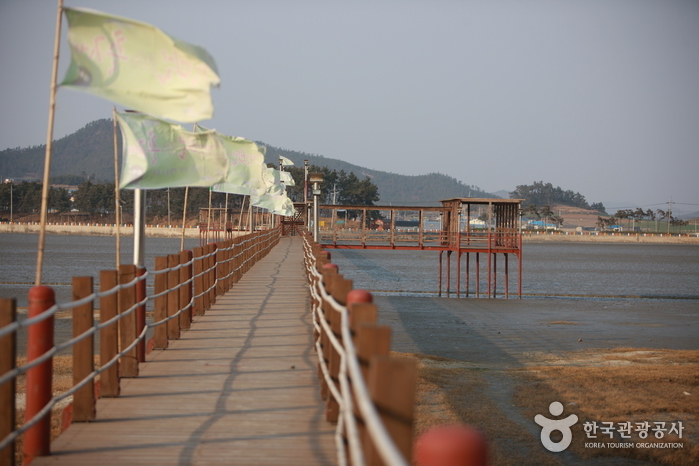 The sight seen from the bridge is perfect for a date course, and after crossing the bridge, you will find yourself on Ujeon Beach, which offers a beautiful view of the setting sun.